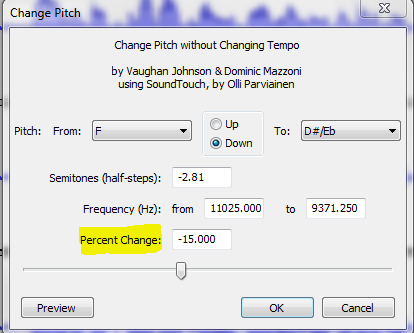 Now that the top copy had been modified, I selected the bottom copy of the recording and again opened the “Change Pitch” effect, but this time I set the “Percent Change” value to positive 15 rather than negative 15. 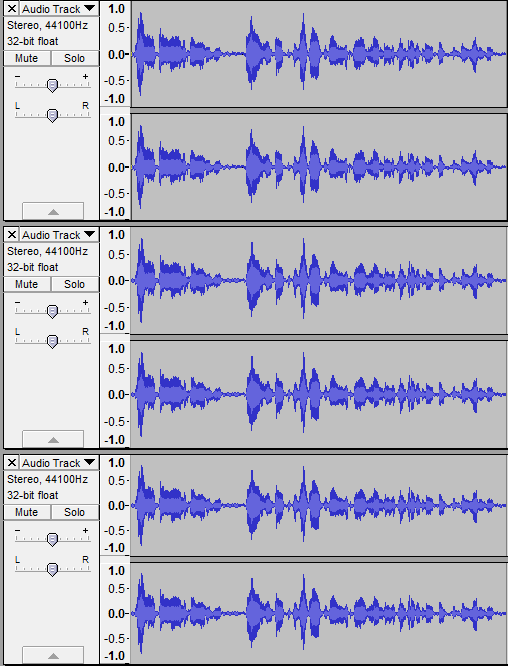 The finished product didn’t look much different in terms of the waveform, but sounded very similar to L’s voice filter. ~ by jtl29 on February 25, 2013.